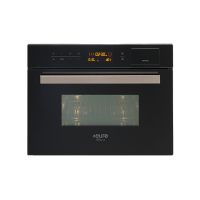 The 45cm Combi Microwave + Steam Oven 34L is a compact combination microwave and steam oven which makes an excellent choice for modern kitchens. Available in a stylish black glass finish, it will perfectly complement contemporary kitchen fittings and accessories. This combination oven is crafted to offer best in class functionality and comes equipped with 13 multi-function and 40 auto cooking menus. Featuring a cooking temperature of 50°C-220°C, it includes a cooling fan system. 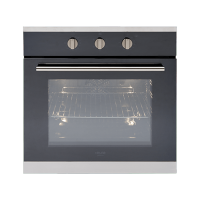 The stainless-steel cavity of this combination oven includes a ceramic glass flatbed base. 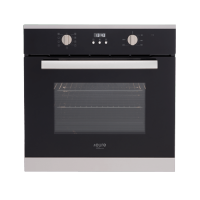 This combination oven is designed to offer ease of use and features a digital touch control with an LED display and comes equipped with a child safety lock. 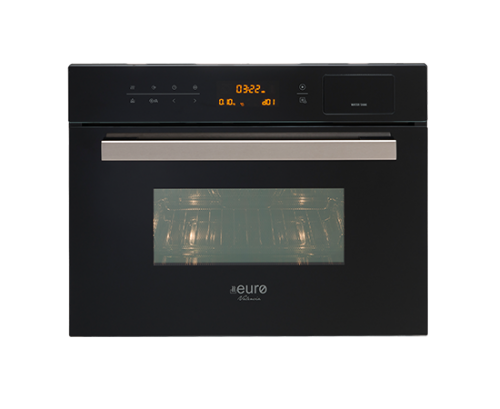 You can even accessorise this combination oven with the EVWDB warmer drawer, which is sold separately. For a compact combination oven in Perth that offers excellent functionality, choose the 45cm Combi Microwave + Steam Oven 34L at Ross’s Discount Home Centre. Buy this stylish multifunction oven at the lowest possible price from our online store today and avail our free Perth Metro delivery!